1. 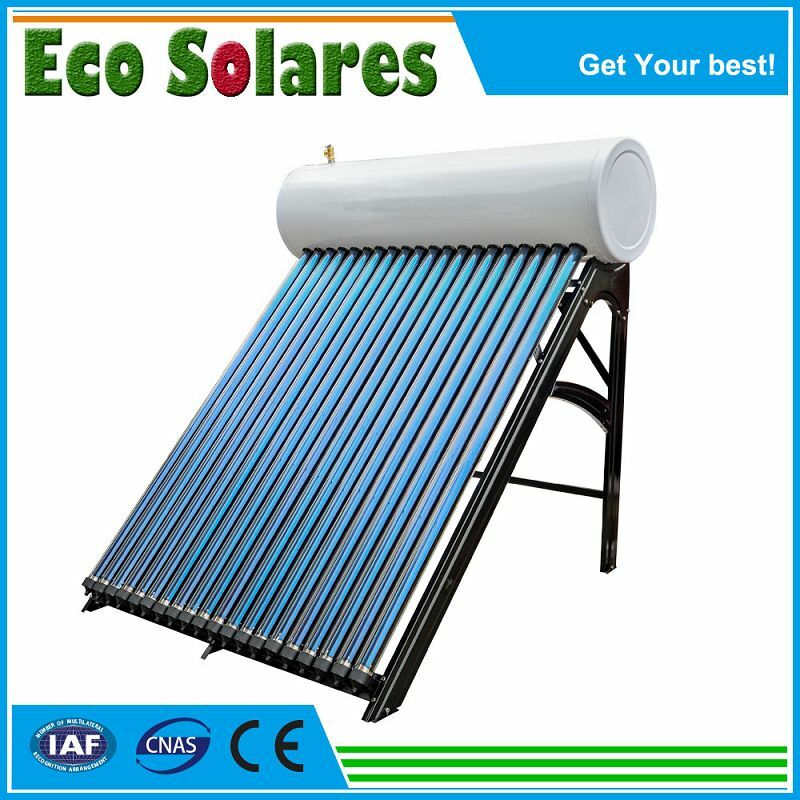 Start fast, the heat absorbed can be transferred to the water tank by heat conductor pipe rapidly. 2. Water heaters can be under pressure 1.5kgf/m2, directly connect the tap water system, working pressurized and automatically. 3. The water tank and heat pipe are solid sealed mechanically, water heater can still work well even though few vacuum tubes were broken. 4. Reasonable structure of inner water tank...Use the excellent materials which has experienced 100, 000 times high pressure test without any damage. 5. Polyurethane foam, high density with small cell. Good obstruction. The inner tank, cover exterior and two ends formed one-time after foaming. Excellent insulation. 6. Series connection and parallel connection can be chose to compose a collective hot water system. 1. Heat is transferred in one-way. Little capacity. The heat pipe starts to work fast at low degree. 2. Thermal conductivity working fluid and metal material commonly used has a good compatibility. 3. The vacuum tube will not burst even the temperature of tube gets 300º C at least, for adopting inorganic element. The vacuum tube will not frozen even the temperature of tube gets minus 400º C for having good low-temperature-resistance. 4. Heat pipe owns super thermal conductivity with almost no resistance. Thermal conductivity is more than 7000 times of silver. The power can be 26000kw/m2.